We all know that X-MEN ORIGINS: WOLVERINE was awful. That isn’t going to shock anyone to read. But once upon a time there was still hope for the sequel for two reasons. 1.) It wasn’t really going to be a sequel. Everyone involved with the project was saying that it was unrelated to all of the other X-MEN films out there. 2.) Oscar nominated director Darren Aronofsky was set to helm the film. But, unfortunately, Aronofsky dropped out and left the directing chair open. After tossing around a lot of names, it appears that Fox may have settled on a director they like. James Mangold now looks like he is the front row to sit in the big chair. The man has directed some very good films including WALK THE LINE, 3:10 TO YUMA, and a personal favorite, IDENTITY. But he also has his faults with KATE AND LEOPOLD and KNIGHT AND DAY. I will say this about the man: he has shown that he can handle crafting great characters and big action, adventure sequences. So could this be a good match? I am still very skeptical, but X-MEN: FIRST CLASS has resulted in me having a shred of hope. 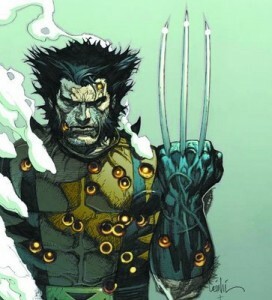 Fox proved that hiring the right director, they can bring back this franchise of mutants. Can they do it again with WOLVERINE 2? We will see, but I can only hope they stay with the Frank Miller story line in Japan.